Anaheim, CA, USA (April 9, 2013) — Disney Legend Harrison “Buzz” Price, who determined the locations for Disneyland and Walt Disney World, was honored today with a window on Disneyland’s Main Street USA. Price passed away in 2010 at age 89. David Price has given InPark permission to post his remarks from this morning’s ceremony. Following that is Judy Rubin’s remembrance of Buzz Price, which appeared in the September 2010 issue of InPark Magazine. I’m David Price, son of “Buzz” and Anne Price. While Dad and Mom are no longer with us, the Price siblings and our families along with friends and colleagues are here in full force. Be assured that Buzz and Annie are at the other end of Main Street cheering us on. On behalf of my wife Alicia and I, my brother Bret and his wife Lynn, my sister Dana, and my sister Holly and her husband Al, along with our children and close friends, we want to extend our gratitude to the Walt Disney Company, Walt Disney Imagineering and Disneyland for organizing this very special dedication. I also want to thank an amazing bunch of Disney volunteers and enthusiasts that have embraced this dedication as well as the many community causes that they support. Dad would be grinning ear to ear about his window dedication on Main Street honoring his role in the creation of Disneyland. The creative work leading to the opening of Disneyland was truly a transformational moment. Buzz often said that he was incredibly lucky to be around for it. That’s an easy truth but it hardly explains the how and the why of it. Simply put, Buzz was the right man at the right time. His special brand of humor, wit, passion and intelligence resonated with two brothers who would launch a revolution in family entertainment and destination attractions. Buzz’s “Yes If” approach to creative thinking allowed Walt and Roy to move forward with their ideas in a manner that changed our world. His “Yes If” approach was also essential for giving direction and balance to a dynamic and creative attractions industry inspired by the vision and success of Walt Disney. Where did Buzz’s “Yes If” approach spring from? He most certainly understood it’s practical dimensions, but he also appreciated it’s application when you’re surrounded by creative thinkers and visionaries. His “Yes If” approach stands as a Golden Rule for creative thinking and problem solving. While Buzz could drill down into numbers with a focus that boarded on obsession, he also knew how to translate numbers and economic data into meaningful and easily understood terms. This “Yes If” approach combined with his intelligence, common sense and experience enabled him to mathematically quantify for investors, creators and operators the meaningful business investment opportunity used to guide the development of Disneyland, Disney World, other theme parks and wide ranging cultural, education and sports related projects. It all began right here in Anaheim, the City that Buzz recommended as the best location for Walt’s new park – Disneyland. With Walt’s encouragement Buzz also meet with Gene Autry with the purpose of bringing the Angels to Anaheim. It was a new era for Orange County and the dawn of an exciting and robust Creative Economy driven by the arts, design and entertainment. Today the Creative Economy ranks 4th out of 66 industry clusters in greater Los Angeles. Supporting one in eight jobs in the region in 2011, the Creative Economy had a total regional output of $230 billion in revenue annually. With Disneyland a success, Walt and Roy asked Buzz to study locations in Florida for another park, and in 1963 Buzz recommended the Orlando area. These are some of the reasons Dad was named a Disney Legend and why the Themed Entertainment Association honored Buzz as the first recipient of the industry’s “Lifetime Achievement Award” – which two year ago was re-named The Buzz Price Award for Lifetime Achievement by TEA. Towards the end of Walt’s life, he again asked Buzz to take over the special task of completing his vision for a multi-disciplined visual performing arts school – California Institute of the Arts. Opening in 1961, Cal Arts has emerged as one of the Nation’s top educational institutions directed solely at training and cultivating the next generation of creative thinkers, designers and artists in our Creative Economy. So what was it like living with a Legend at home? When you’re that close to it, it was hard to see. I began to understand more fully the dimension of the Man when I started working with him in my early thirties. That’s when I met the mentor, the colleague, the collaborator, the teacher. He could stop you in your tracks with a penetrating question, split your guts with his humor, and entertain anyone within hearing range with his one liners. As small children growing up in Los Angeles, we had no way of knowing that dad’s home office next to our game room would be the place where his early work for Walt and Roy began. I remember clearly his well organized assortment of 3-ring binders, a readily available slide ruler, stacks of neatly piled papers and how each of us took turns sharpening pencils. What is warmly remembered too is the Price children receiving each Christmas a large wrapped box from Walt filled with an assortment of Disney toys. It was a child’s fantasy. It would have been a treasure trove for a collector had they not disappeared as children’s toys often do. Someone ought to make a movie of that. As children we turned our front yard into a CEC – a Children’s Entertainment Center – with miniature golf courses, games of chance and lemonade stands. All the kids in the neighborhood joined in. It became our fantasy land. In later years my siblings and I each found our path into the arts: my brother Bret as a successful sculptor; my twin sister Dana as an artist; my sister Holly as a professional choral singer; and myself as an architect and planner in the attractions industry. We were all encouraged by two amazing parents who modeled for us the adventure that comes when you engage life. Dad always gave Mom the credit. Others might say behind every great man is a great woman. Bottom line, Dad led the way. The joy lives on as it does each day for the thousands of guests walking down Main Street, Disneyland. Dad’s Window looks out, a testament to his life and the impact he made. Our family along with our children, grandchildren, future family members and his many friends and colleagues, can now walk by and shout with joy – Thank you Buzz. I’m Going To Disneyland! 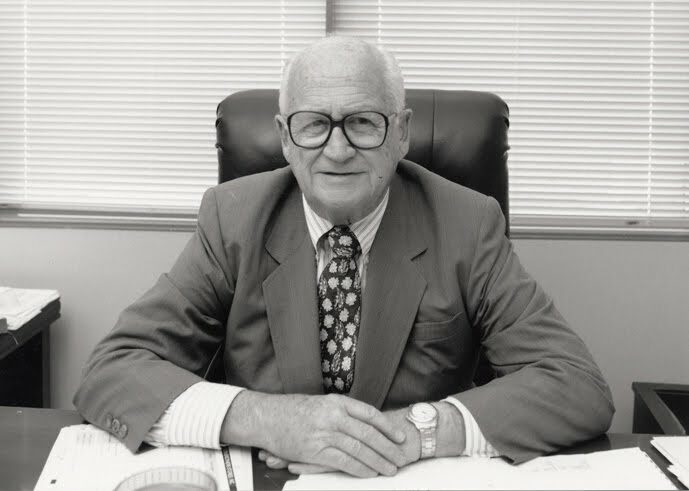 The late Harrison “Buzz” Price, who died August 15 at the age of 89 was, as many better acquainted with him than I have already said, a person of great vision and accomplishment, with both hemispheres of the brain deeply engaged, and also a man of wit and warmth. I had the good fortune to meet Buzz shortly after I stumbled into the themed entertainment industry in 1987. That was the year I joined World’s Fair magazine (no longer published), and as I got to know world expos, I also got to know industry players such as Buzz Price, who had done numerous expo feasibility studies. To me as an editor and publicist, Harrison Price was a great resource – he didn’t just know the industry, he was part of the fabric of the industry. He could always be relied on to provide a razor-sharp, witty observation or analysis – and was eminently quotable. Eventually, we tapped Buzz to write “So You Want to Have a World’s Fair” – a breakthrough article that holds up quite well today and which is being reprinted, with updated commentary, in the 2011 TEA Annual & Directory (to request a copy, contact the TEA office). Thinking about Buzz Price and the good things that came to me from the privilege of intersecting his grand orbit, the word “breakthrough” keeps coming to mind. After I became a freelancer in the mid-90s, Buzz recommended me for a marketing research project with a top company. It was a career breakthrough in terms of what I was able to achieve for the client and what I learned in the course of the project. A few years later, in 1999 it was a thrill to be part of the team that brought Buzz Price in to deliver the keynote address for the annual conference of the Large Format Cinema Association (now merged with the Giant Screen Cinema Association). Chris Reyna was LFCA president and Therese Andrade was conference chair. Buzz took the assignment very seriously and did a complete market study of the industry. I was in a position to furnish him with leads for his study, and we spent a lot of time on the phone together. At the conference itself, I had the honor of introducing Buzz for his keynote. I haven’t been able to locate a copy of my speech introducing Harrison “Buzz” Price to a roomful of special-venue cinema producers, filmmakers, distributors, equipment suppliers, service providers and theater operators. But in my media relations role for LFCA I wrote a number of press releases about the conference, and there are two about Buzz Price. Click here to view them. Buzz Price’s LFCA keynote, “Markets, Markets, Markets,” (a playful reference to Peter Guber’s “story, story, story” keynote given the previous year) was extremely positive and received with huge enthusiasm. His research showed that there was plenty of room for growth in many areas of the special format cinema industry. I believe Harrison Price’s vision of the possible futures of giant screen cinema was instrumental in helping an industry that was founded on a somewhat narrow footing and struggling with its business models begin to achieve a breakthrough in perspective. His findings are to a great extent being validated now with the explosion of special venue and special format immersive media such as 4D theaters, 3D cinema, and digital dome displays (fulldome) we’re seeing in a wide variety of entertainment and education markets. Thank you, Buzz. You had a gift for being professional and confident while also being genuine and friendly, and disarmingly frank. You were a powerful person but what you projected was joy and deep interest in the world around you. Photos: Roy E Disney and Buzz Price, Harrison “Buzz” Price at his desk. Thanks to BRC Imagination Arts for the photos.